I’LL BE BAAACK! 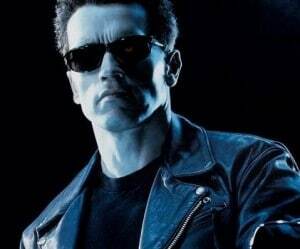 – OR – HASTA LA VISTA, BABY! We’ve all heard about the contractor who says “It looks fine from my house,” but the homeowner who has to live with it will never hire that contractor again. Sometimes bridges burn so quietly, you may not realize you are losing customers, especially when you are new and there seems to be an endless supply of “new” customers. Only a fraction of your dissatisfied customers actually take the time to complain to you, but you better believe they are telling all their friends. Your customer service people are where the rubber meets the road. Much more than complaint resolution, they can relay to you, your marketing department, and your production department, what customers are concerned about. This is your best opportunity to turn that customer around and stop the bleeding in your customer base at the same time. However, this only possible when you empower your customer service people to have a say in product design and messaging. Some companies rely on surveying their customer base. The most successful surveys offer an incentive to fill out the forms. Keep these short and sweet, and by all means get the customer’s contact information, including phone number at the point of purchase so you will have a record and a reference. There are many ways to get customers to “opt-in” (give you their contact information). These include Clubs which offer discounts to members, loyalty cards which offer bonuses and increased credit to keep them from shopping elsewhere. Staying on top of who is coming back and how often will give you a picture of customer loyalty. When someone likes your product or service, they want to tell their friends about their discovery. Asking every new customer how they heard about you will not only tell you if your ads are working, but it can tell you about the general health of your business. Thank your referring customers by offering a referral bonus for sending in a new customer. Customer Relationship Management software abounds. Ideally, it is tied in to your Point Of Sale systems. Tracking a customer’s behavior is becoming essential to maintaining the relevance of your brand. Be sure to get their phone number so you can call, thank them for their business, and find out what they think about your product, where they bought it and anything you can do to improve your products or service. People buy from people. The airlines have mastered this method of retaining customers and measuring their behavior. Basically, the more you use their services, the greater your “status”. Upgrades and discounts based on miles are a serious consideration to staying with “your” airline. Discover how you can reward your loyal customers. There are several ways of measuring customer loyalty. You can identify the return customer, how often they return, whether they refer others to you, and even more importantly, if and when they stopped buying. In fact, it’s exception reporting that can show you when they take a break or stop buying altogether. If you can spot this soon enough, you can contact them and try to get them back.